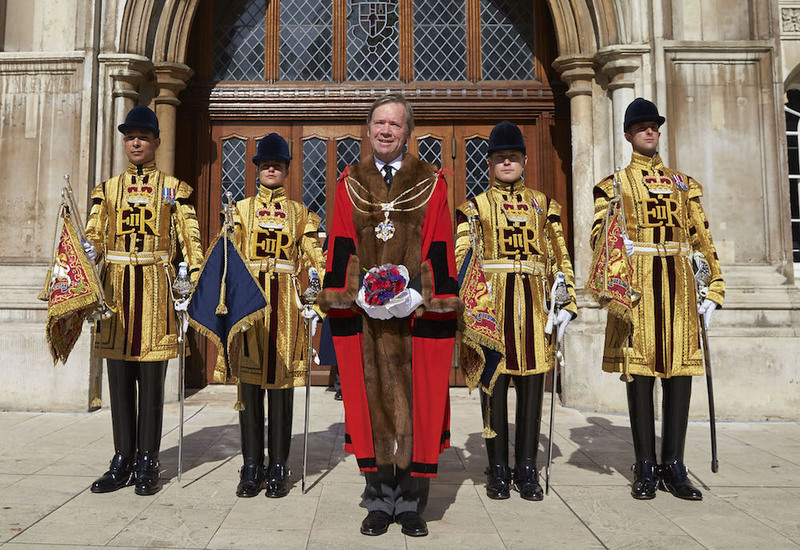 Alderman Lord Mountevans, Chairman of Maritime London and director of Clarksons Platou, has today been elected as the 688th Lord Mayor of the City of London to serve as the global ambassador for UK-based financial and professional services industry from 13 November 2015. He succeeds Alderman Alan Yarrow. The Lord Mayor Elect, as he is known after today’s election, will not take office until the Silent Ceremony, which is held in the Great Hall at Guildhall on Friday 13 November, the day preceding The Lord Mayor’s Show, his first public engagement (Saturday 14 November). The Lord Mayor’s Banquet, at which Prime Minister David Cameron will speak, follows on Monday 16 November at Guildhall. The Lord Mayor of the City of London typically spends around three months a year leading overseas business delegations on behalf of the City and meeting key politicians from home and abroad, as well as business leaders and decision makers visiting London’s financial community. A Crossbench Peer in the House of Lords, he assumed the title of Lord Mountevans in December 2014. He has served as Alderman for the Ward of Cheap since 2007 and served as Sheriff of the City of London in 2012/13. Alderman Lord Mountevans was born in Gothenburg, Sweden and is a quarter Norwegian, speaking the language fluently. He was educated at the Nautical College Pangbourne, and Pembroke College, Cambridge, where he read Economics. He has worked in the City since 1972, having joined the shipbrokers Clarksons as a graduate trainee. He was most recently a Director in their Gas department, having stood down to chair the Government’s Maritime Growth Study, which examined how the UK should maintain and enhance the UK’s position as a leading maritime centre. He has been Chairman of Maritime UK since 2014, is Chairman of Maritime London, and is a member of the Institute of Chartered Shipbrokers. He currently serves on the City of London Corporation’s Education Board, is Vice-Chairman of the City of London Academy Islington and is an Almoner of Christ’s Hospital School. Alderman Lord Mountevans is married to Juliet and has two children. The Lord Mayor Elect’s chosen charities for his Appeal are JDRF (Juvenile Diabetes Research Foundation) and Sea Cadets. The funds raised by The Lord Mayor’s Appeal will help JDRF cure, treat and prevent type 1 diabetes through its research work and the Sea Cadets to help give young people a positive experience on their Tradewind yachts and gain accredited RYA sailing qualifications that will inspire them for life. Small percentages will also be awarded to two City charities: The St Paul’s Chorister Trust and the Mansion House Scholarship Scheme.